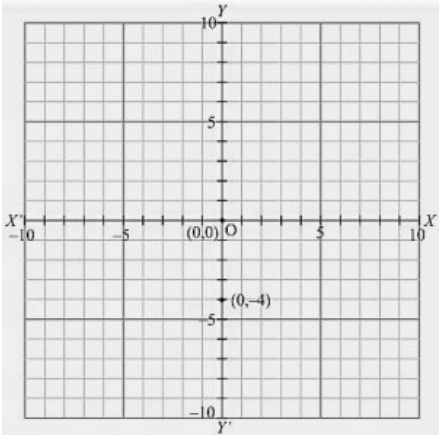 Let X 'OX and Y ' OY be the coordinate axes. (i) Here for the given point the abscissa is 2 units and ordinate is 5 units. The point is in the first quadrant. So it will look like as shown in the following figure. (ii) Here for the given point the abscissa is 4 units and ordinate is -3 units. The point is in the fourth quadrant. So it will look like as shown in the following figure. (iii) Here for the given point the abscissa is -5 units and ordinate is -7 units. The point is in the third quadrant. So it will look like as shown in the following figure. (iv) Here for the given point the abscissa is 7 units and ordinate is -4 units. The point is in the fourth quadrant. So it will look like as shown in the following figure. (v) Here for the given point the abscissa is -3 units and ordinate is 2 units. The point is in the second quadrant. So it will look like as shown in the following figure. (vi) Here for the given point the abscissa is 7 units and ordinate is 0 units. The point is on the x-axis. So it will look like as shown in the following figure. (vii) Here for the given point the abscissa is - 4 units and ordinate is 0 units. The point is on the x-axis. So it will look like as shown in the following figure. (viii) Here for the given point the abscissa is 0 units and ordinate is 7 units. The point is on the y-axis. So it will look like as shown in the following figure. (ix) Here for the given point the abscissa is 0 units and ordinate is -4 units. The point is on the y-axis. So it will look like as shown in the following figure. Write the coordinates of each of the following points marked in the graph paper. 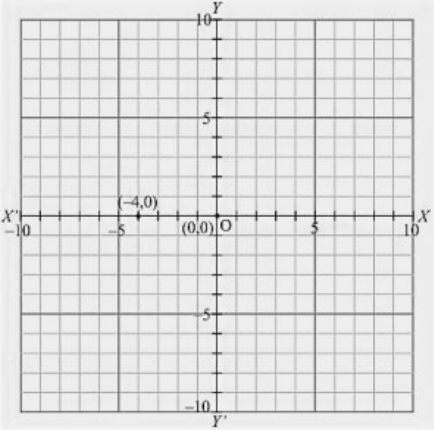 1) The distance of point A from y-axis is 3 units and that of from x-axis is 1 units. 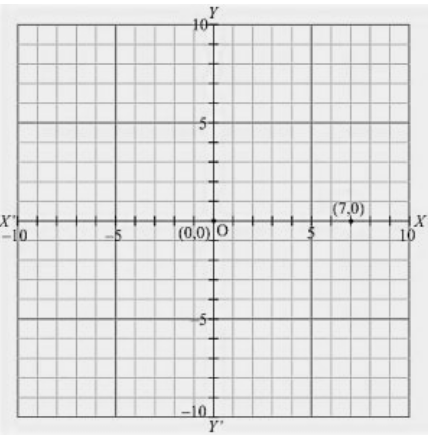 Since A lies in the first quadrant, so its coordinates are (3, 1). 2) The distance of point B from y-axis is 6 units and that of from x-axis is 0 units. 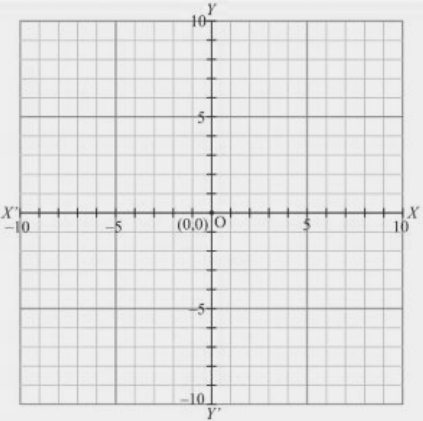 Since B lies on x-axis, so its coordinates are (6, 0). 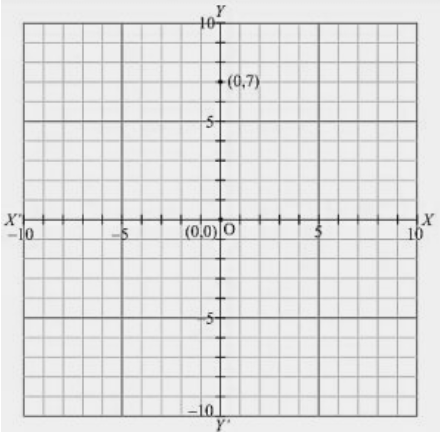 3) The distance of point C from y-axis is 0 units and that of from x-axis is 6 units. Since C lies on y-axis, so its coordinates are (0, 6). 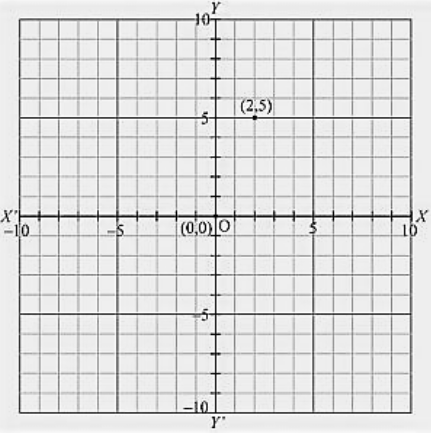 4) The distance of point D from y-axis is -3 units and that of from x-axis is 0 units. 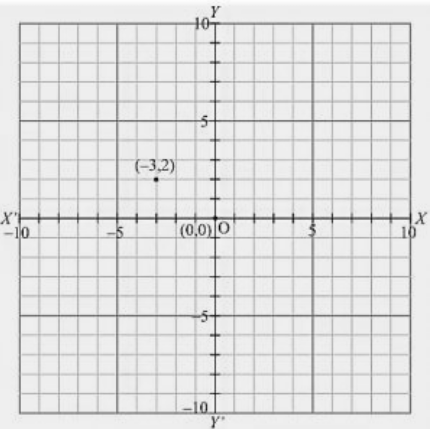 Since D lies on x-axis, so its coordinates are (-3, 0). 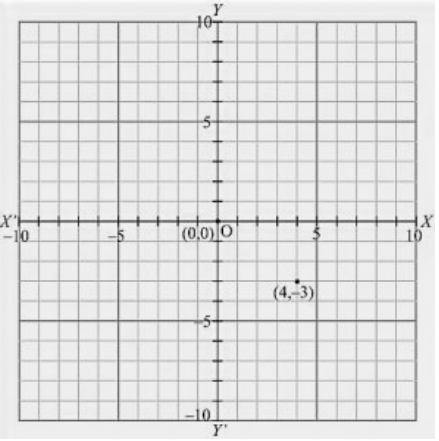 5) The distance of point E from y-axis is – 4 units and that of from x-axis is 3 units. Since E lies in the second quadrant, so its coordinates are (- 4, 3). 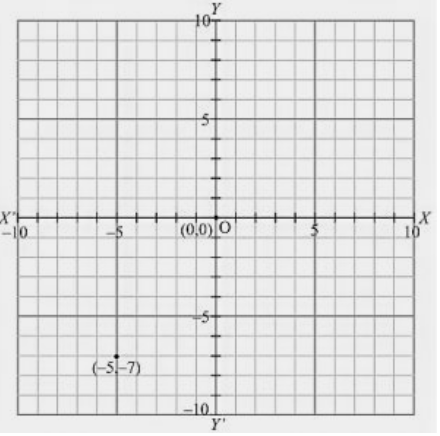 6) The distance of point F from y-axis is – 2 units and that of from x-axis is – 4 units. Since F lies in the third quadrant, so its coordinates are (- 2,- 4). 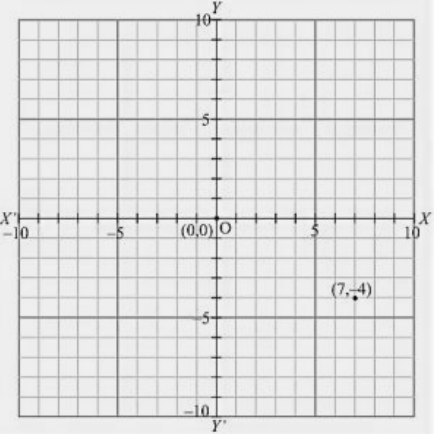 7) The distance of point G from y-axis is 0 units and that of from x-axis is – 5 units. Since G lies on y-axis, so its coordinates are (0,- 5). 8) The distance of point H from y-axis is 3 units and that of from x-axis is - 6 units. Since H lies in the fourth quadrant, so its coordinates are (3, - 6). 9) The distance of point P from y-axis is 7 units and that of from x-axis is - 3 units. Since P lies in the fourth quadrant, so its coordinates are (7,- 3). 10) The distance of point Q from y-axis is 7 units and that of from x-axis is 6 units. 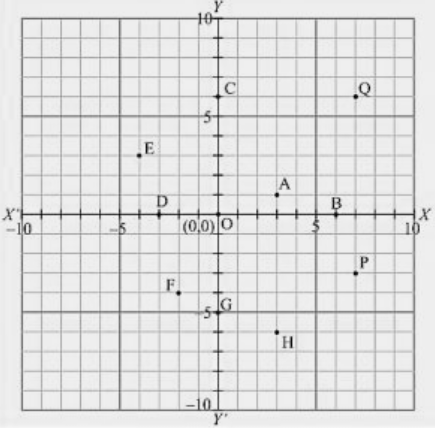 Since Q lies in the first quadrant, so its coordinates are (7, 6).